Are you searching for a perfect place for eating and drinking in Nha Trang? This popular beach town is not only popular for its white sand beaches and cultural attractions but for its range of restaurants and bars and exotic Vietnamese cuisine. Tourists can find all sorts of restaurants in Nha Trang: strings of international bistro and cafes, from Italian to Mexican, are present to cater to different types of tourists and guests. In terms of nightlife, several bars and pubs can be found in the city centre that stay open ’til midnight. 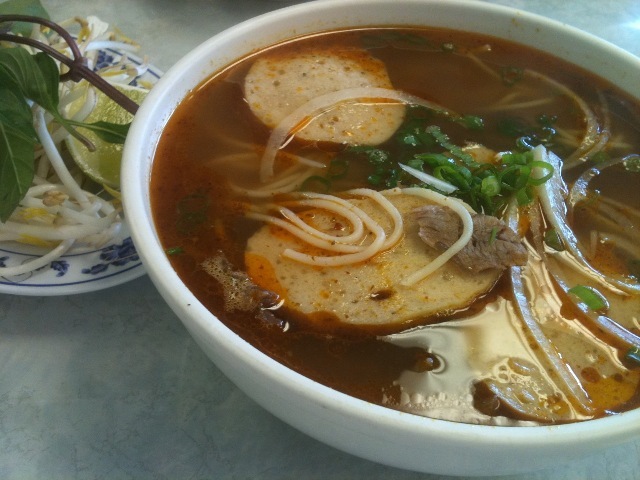 If you are searching for authentic Vietnamese food, the chain of Truc Linh Restaurants is one of the most popular in the city. They also have several Thai, Western and Chinese options on their menu. Seafood is the specialty among all Vietnamese restaurants in Nha Trang, with the catches placed in clear glass aquariums visible from outside. If you want a cozy place, you can visit the classy Thien Minh restaurant, which has a stone garden area if you want to dine outside. It also features both traditional Vietnamese cuisine and Western food. The closer you get to the beach, the more you’ll find throngs of open-air eateries and street-side restaurants that offer some authentic Vietnamese foods. One popular street-side restaurant is Lac Canh, where diners can BBQ their own food and order different rice dishes and seafood. Other popular places to dine in are in Quan 6 Phong, Quan Cay Man and Quan 127. When it comes to eating and drinking in Nha Trang, western tourists can experience a variety of tasty international cuisines. The range of Italian food in La Taverna, Good Morning Vietnam, Carlo’s Restaurant and Cyclo Café is excellent with delicious pasta dishes, pizza, and Vietnamese side dishes. For authentic Thai cooking, you have Good Morning Thailand and the Same Same But Different café offering the usual spicy seafood dishes and fried rice. Nha Trang has several specialties. One in particular is the famous bird’s nest soup or swallow’s nest soup. Known as the ‘caviar of the east’, this soup is a common delicacy in Chinese cookery and several other Asian countries including Vietnam. This exotic soup is quite pricey in Nha Trang and will cost 220000 VND for a tiny bowl. In fact, one kilogram of bird’s nest will cost more or less 60 million VND, making it a very lucrative industry in Nha Trang. The authentic bird’s nest soup could feel somewhat rubbery to a Westerner’s tongue but the Vietnamese-style is a lot more delicious with added ingredients like eggs, lotus seeds and chicken. This soup is also believed to aid digestion, enhance libido and boost the immune system. Nha Trang city’s nightlife scene starts early night at bars situated in the city centre until midnight while the open, laid-back drinking spots near the coast stay open much later. A common location to go to for both eating and drinking in Nha Trang is in Biet Thu Street, which is also lined with many hostels in which travelers stay. Popular bars include Nha Trang Sailing Club, Crazy Kim’s, Jack’s, Guava and Why Not. However, the best spot for late night partying is the Sailing Club, where the dance floor gets crowded every night.